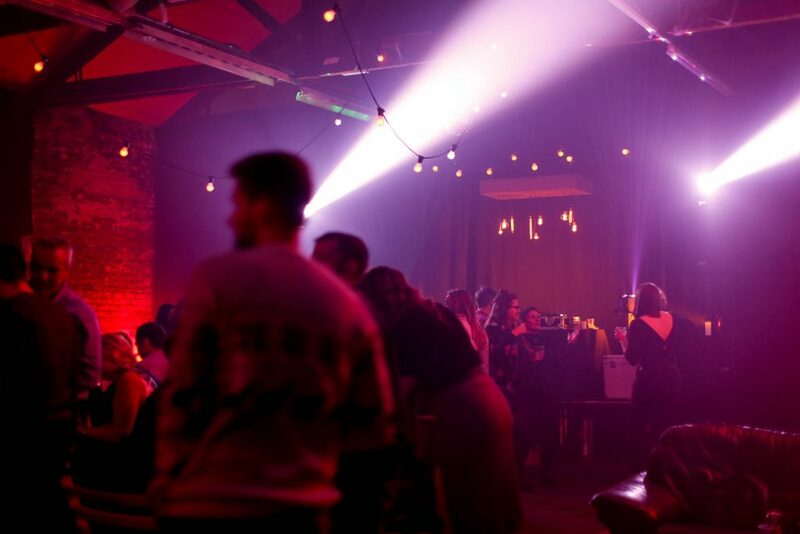 DJ & disco lighting is an area that can either make or break a night. 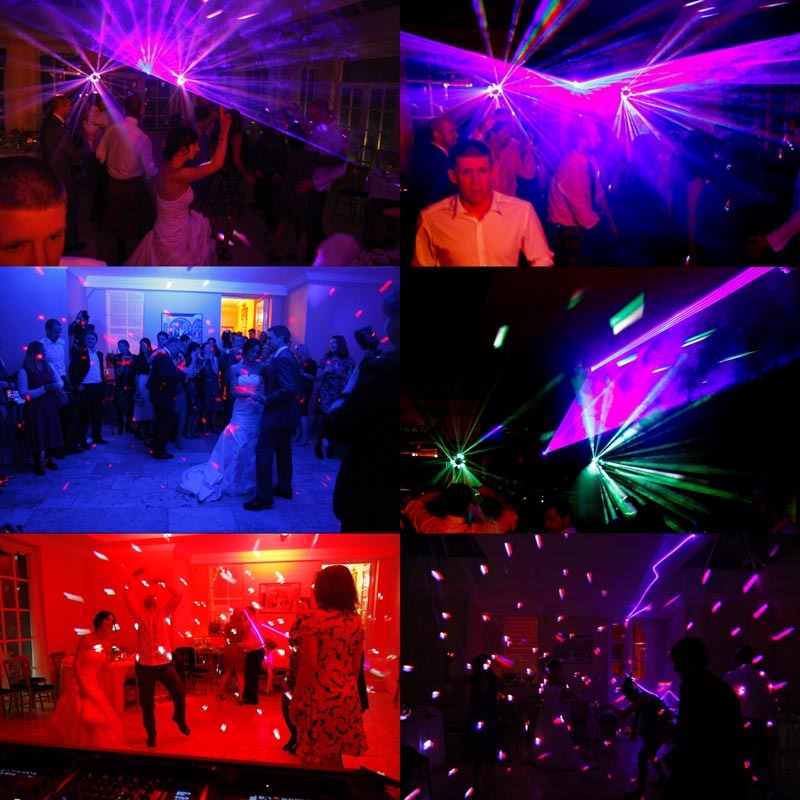 A good DJ needs a good light show and there is always the danger of turning a classy function into something that looks like a bad attempt at a Phoenix Nights cheesy disco. We believe that less is more when it comes to lighting. You can have 4 lasers running alongside 4 scanners with 4 moving heads and 2 moonflowers a strobe and the kitchen sink if you must, but the effect you get with this kind of setup may not suit your event. What is more, a big lighting rig requires someone as skilled as the DJ to operate it in order to get the most out of it, so this may also not be suitable for many situations where you might just want something easy to control that produces a nice effect, like in the below photograph featuring two moving heads, 4 uplighters, 2 mirror ball effect lights and some Festoon. We do a few different packages of kit based around a combination of American DJ, Chauvet & Martin lights. Often, a couple of wash light and two moving heads will be all the light required to set a nice ambience and provide some variety for the audience at a small party. The majority of our lighting equipment is LED equipped, so power consumption is low, and the lights produce very little heat so remain safe for the general public. Add one of our smoke machine to these pieces of kit to get the best visuals. 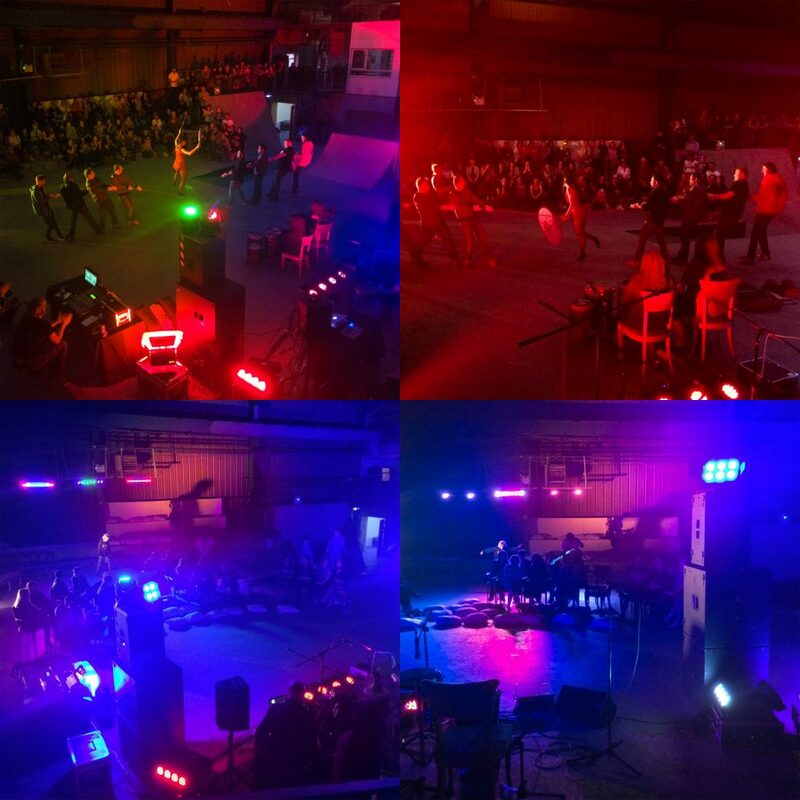 Wash lighting for a large music and dance event. All content is © 2019 by Durham Events. All rights reserved.